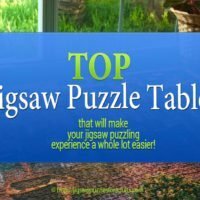 Are you looking for the Best Glue for Jigsaw puzzles? 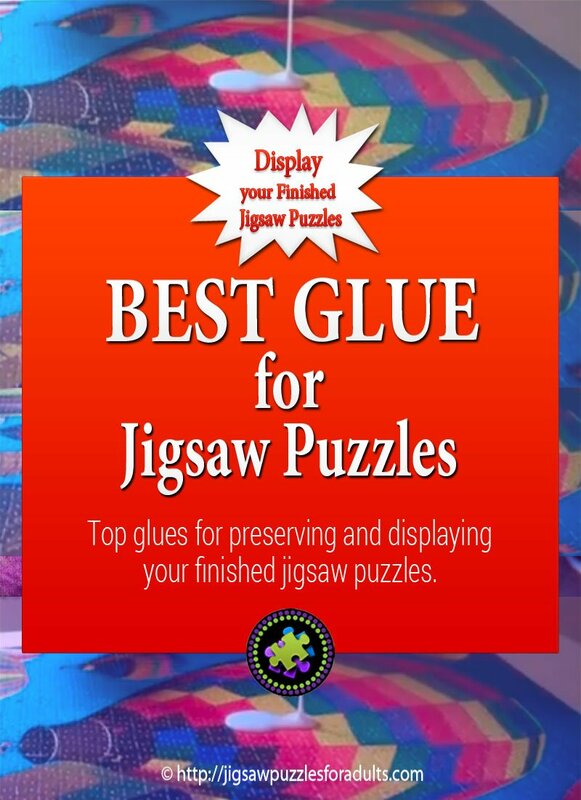 On this page you’ll find a number of different jigsaw puzzle glues and some comparison videos on some of the top glues for preserving and displaying your finished jigsaw puzzles. 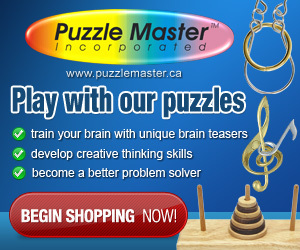 You’ll also find out some alternative ways of preserving your puzzles. In a Hurry? 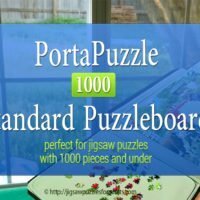 Check out all the Jigsaw Puzzle Glues on Amazon.com! Finally you’ll find out which is the most popular glue according to people who have actually purchased the glue and left very positive reviews. 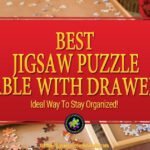 If you are looking for the best quality jigsaw puzzle glue, you’ll want to check out Masterpieces Puzzle Glue. 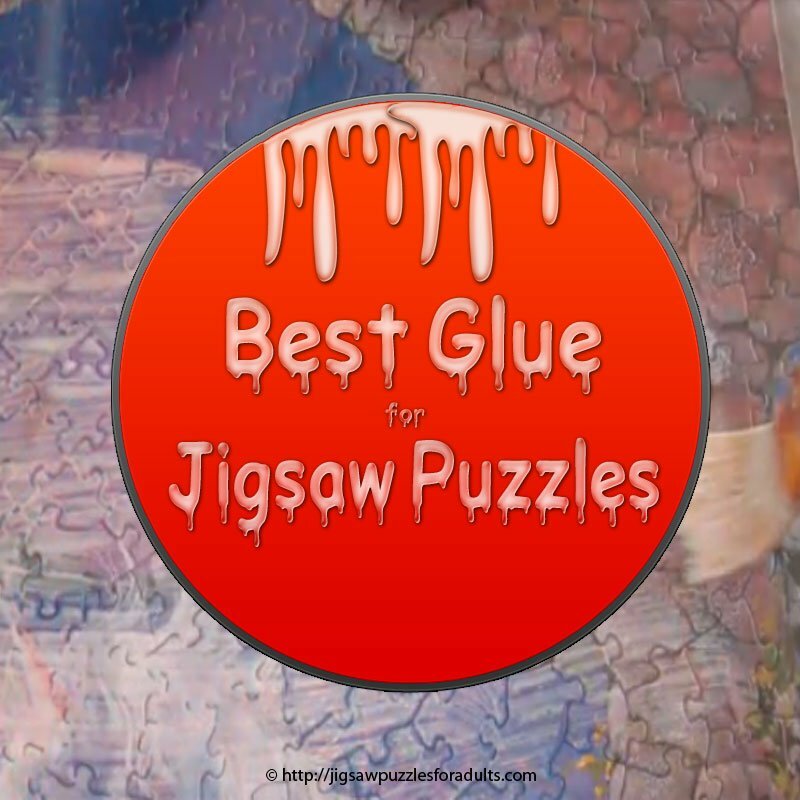 You’ll be pleasantly surprised at how well this puzzle glue works and how easy it is to use. 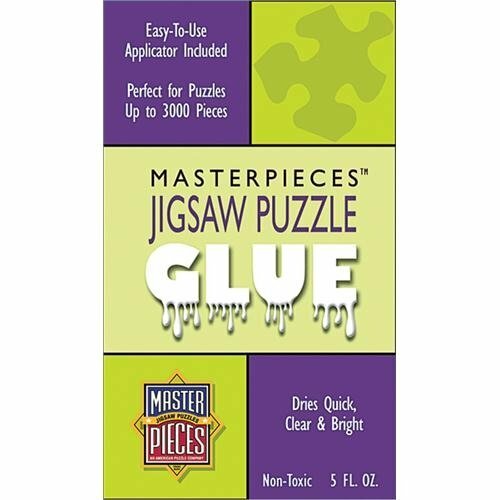 MasterPieces jigsaw puzzle glue is really clear and easy to apply and your finished results should turn out amazing! 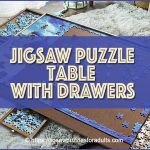 You might find it a little expensive but if have a beautiful jigsaw puzzle that you have spent hours putting together and want to use that puzzle for decoration purposes I wouldn’t go check on the glue. 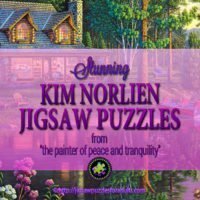 It will easily cover both sides of a 500 plus jigsaw puzzle puzzle that roughly measures 18 inches by 24 inches with a little bit left over. 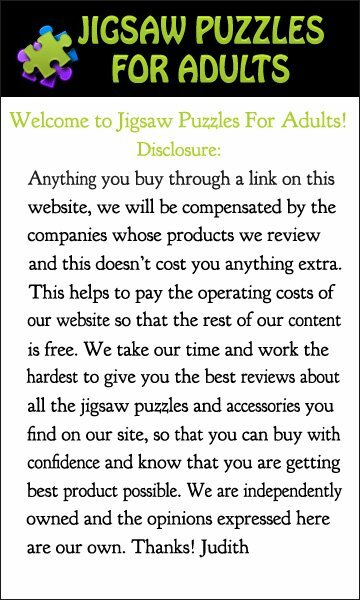 I would think that you would be on the safe side if you used two bottles to do a 1000 piece jigsaw puzzle both sides. The MasterPieces glue comes with an applicator for spreading your glue. MasterPieces glue dries relatively quick, clear, and clean. As I mentioned earlier you’ll want to give both sides of your puzzle a coat to give it some added strength. Each individual MasterPieces bottle contains 5 oz. of glue. 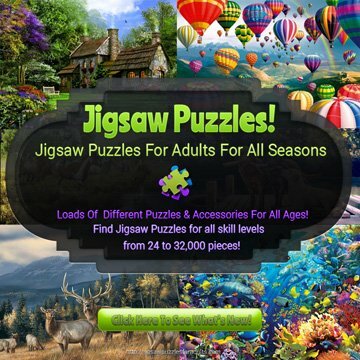 Springbok Jigsaw Puzzle Saver Glue laminates and permanently saves finished jigsaw puzzles. With the 4 ounce bottle of glue you’ll also get a brush on applicator attached to lid. 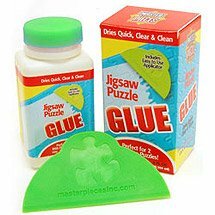 I haven’t tried this Jigsaw Puzzle Saver glue from Springbok yet but a number of people that have used it seem to like it over other glues. 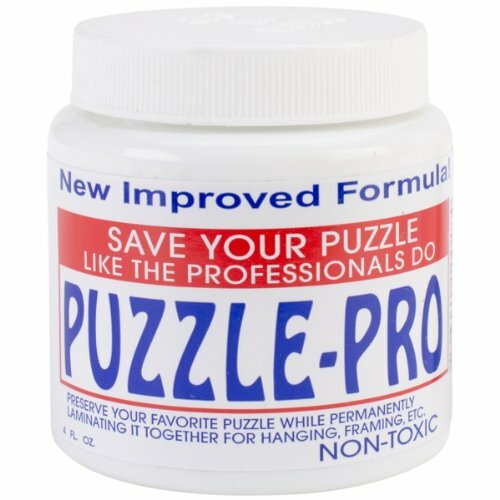 If you enjoy doing jigsaw puzzles and like to display them after they are finished you’ll need a good puzzle preserver and from what I’ve heard Sunsout puzzle glue is pretty popular. 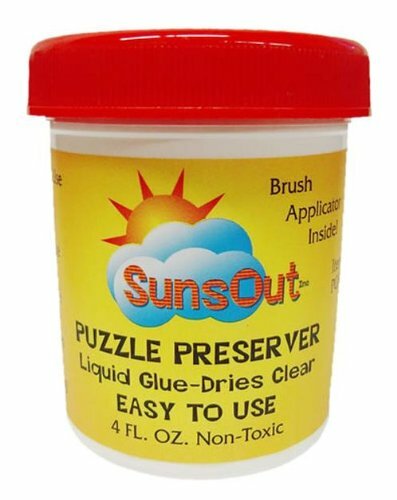 Sunsout Puzzle Glue comes in a 4 ounce bottle along with an applicator. 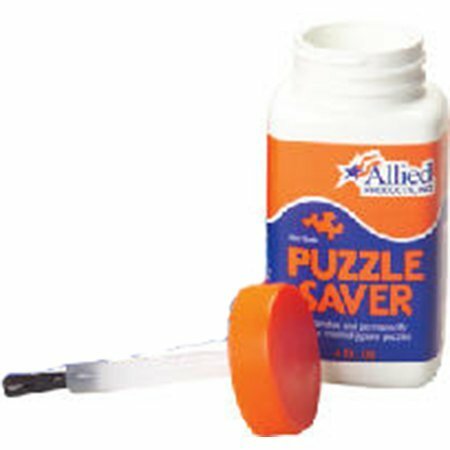 Mega Puzzles Save-a-Puzzle Glue comes in an 8 ounce Save-A-Puzzle glue that will cover up to four 1000 piece puzzles and comes with a large glue spreader. 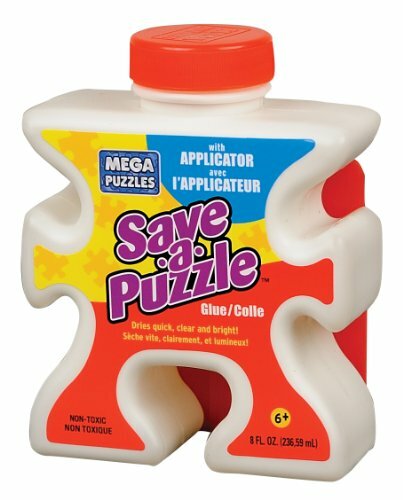 Save-A-Puzzle Glue also comes in a 4 ounce bottle. I found this video that give a really good comparison between Mod Podge and MasterPieces Glue. If you watch the video you’ll be able to choose which glue is better for you. Still haven’t found your favorite glue? 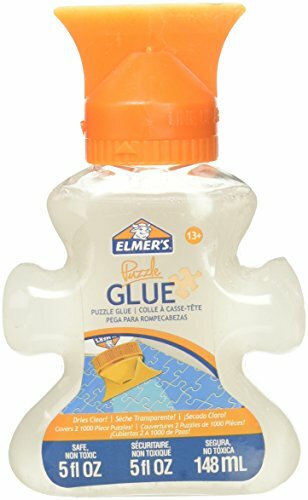 Check out all the Jigsaw Puzzle Glues on Amazon.com at great prices! 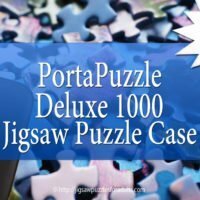 All in all there are plenty of different jigsaw puzzle glues, but from my experience I’ve used a few and it all depends on what I have on hand. 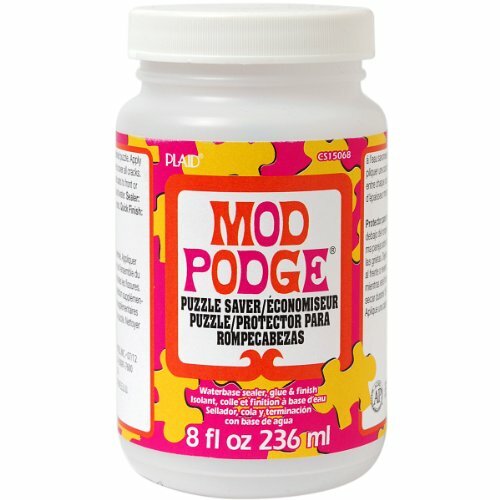 I’ve used both MasterPieces and Mod Podge and both worked well in experience. In the future I’ll be trying a few other brands to see if they make that much of a difference when it comes to gluing your jigsaw puzzle together. 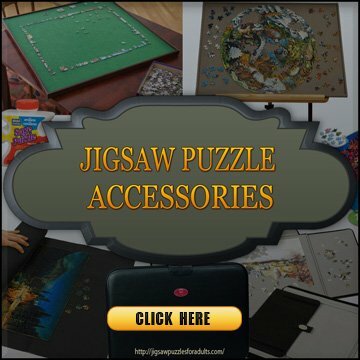 If you found our page on the Best Glue for Jigsaw Puzzles helpful then be sure to check out some of our other Jigsaw Puzzle accessories to help make your puzzling experience much more enjoyable!